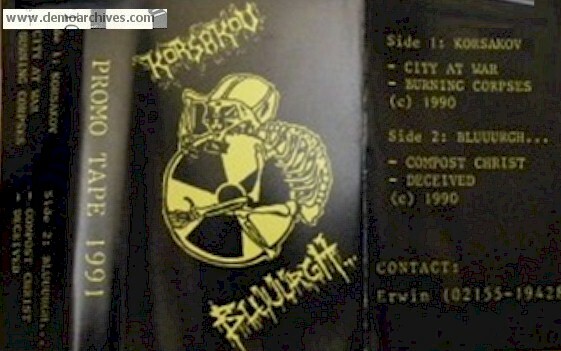 Korsakov was a Dutch old school death/thrash metal band. Active from the late eighties till the early nineties. In their years of existence they were pretty popular amongst the underground metallers in the Dutch scene. They recorded three demos at the end of their career. Xeroxed cover and lyrics are printed on the backside. Came with a flyer. Some tapes had stickers on the shell. The demo is pressed on blank studio tapes without any info. Xeroxed cover and lyrics are printed on the backside.